This Saturday, make time for a family fun outing. Grab your fat bikes or hiking boots, hit the trail and watch the snow come in. We all get caught up in the Holiday rush and forget to make time for outdoor family Activities. Photo is from this past June at along a Dakota County Trail near Hastings, MN. 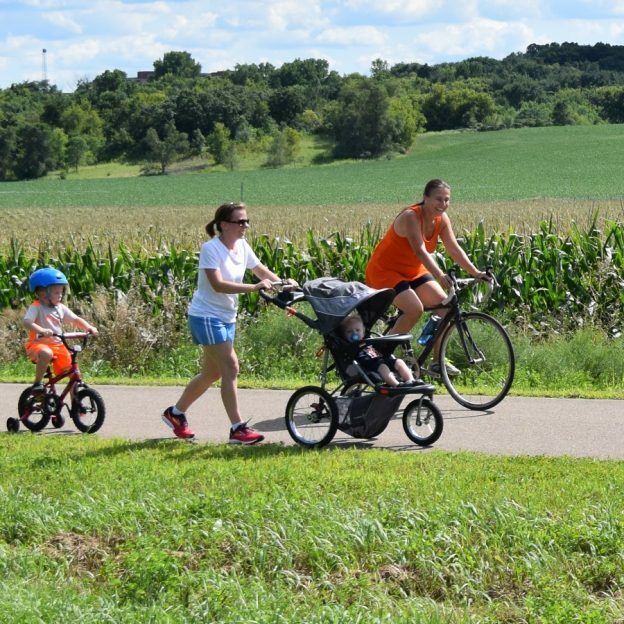 In the photo, passing mom and the kids on her bike is Mayor Mary from Apple Valley, MN. See all the places to explore with your family in the new Minnesota Bike/Hike Guide. 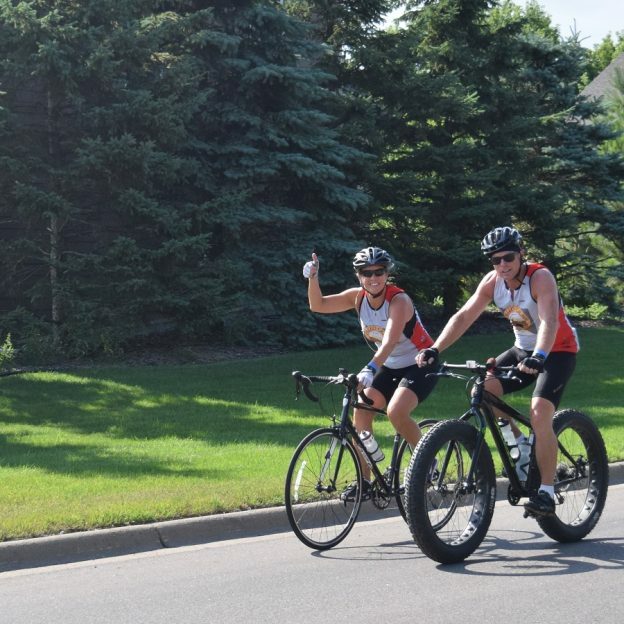 This entry was posted in News, Picture of the Day and tagged #biketime, #biketrail, #familyfun, #familytime, #happysaturday, #nextadventure, #nextbikeadventure, #onlyinMN, #tykebike, #visithastings, free bike maps, Hastings MN, Have Fun Biking, Mayor Mary, Minnesota, Minnesota Bike Guide, MN trails on December 10, 2016 by Russ Lowthian. Another version of multi-modal commuting discovered along the Mississippi River Trail. We shot this picture near Hastings, MN. As many upper Midwest bike riders are now changing their gear over to winter fun activities, including fat biking, ice fishing, skiing, snowshoeing and other cold weather sports, see all the places to explore in the new Minnesota Bike/Hike Guide. 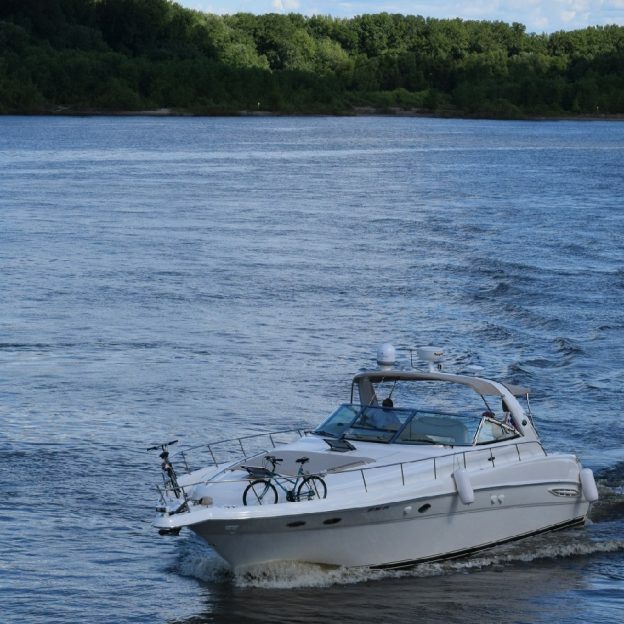 This entry was posted in News, Picture of the Day and tagged #bicycle, #biketrail, #bridge, #multimodal, #nextadventure, #nextbikeadventure, #onlyinMN, #visithastings, bike, boating, Hastings MN, Minnesota, MN MRT, Multimodal transportation on November 29, 2016 by Russ Lowthian. One last look at the 2016 summer bike riding season as the winter fun begins in Minnesota. 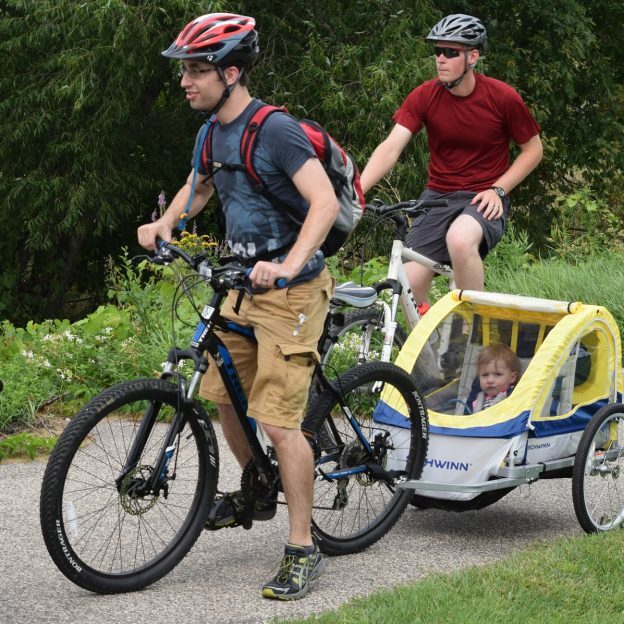 Photo of these two cyclists and passenger was taken in Hastings, along the Mississippi River Trail. As many upper Midwest bike riders are changing their gear for winter activities, including fat biking, ice fishing, skiing, snowshoeing and other cold weather sports, see all the places to explore in the new Minnesota Bike/Hike Guide. This entry was posted in News, Picture of the Day and tagged #bicycle, #nextadventue, #nextbikeadventure, #onlyinMN, #visithastings, bike, burley trailer, Hastings MN, Minnesota trails, Mississippi River Trail, MN trails on November 23, 2016 by Russ Lowthian. Here in this bike smiles picture a bicycling couple are out exploring the streets and trails in Hastings, MN. Located in the southeast corner of the Twin Cites the trails here parallel the both the Mississippi and Vermilion Rivers to make it easy to do a loop bike tour. Find many more bike friendly places to explore in the new Minnesota Bike/Hike Guide. Thanks for viewing the Bike Pic of the Day here at HaveFunBiking. Now rolling into our 10th year as a bike tourism media, our goal is to continue to encourage more people to bike. While showcasing all the unforgettable places for you to ride. As we continue to showcase more place to have fun we hope the photos we shoot are worth a grin. As you scroll through the information and stories we have posted, enjoy. This entry was posted in News and tagged Dakota County Trails, Hastings MN, Minnesota trails, Mississippi River Trail, Vermilion River Trail on August 14, 2016 by Russ Lowthian.